Unown, the letter-shaped monster, is causing a stir in Pokémon Go right now thanks to their mysterious nature. Everyone wants to capture Unown, but half the people talking about it aren’t even sure it’s actually in the game. 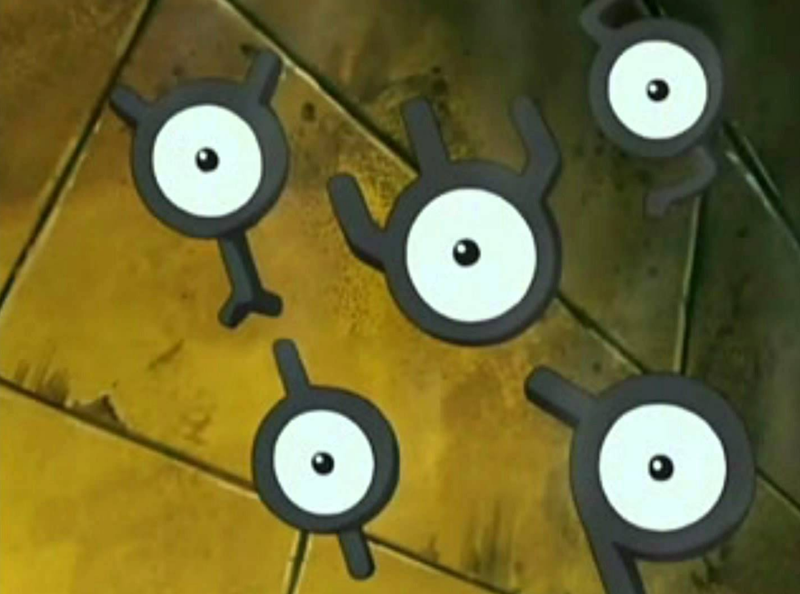 In the main games, Unown appear in ancient ruins, which gave them an air of mystique. With time, that mystique died out—they Unown became just another monster in a list of hundreds. With Pokémon Go, the intrigue has been rekindled once again, as players try to figure out where a creature like this would spawn in the first place. Is it also relegated to special locations, like in the games? How do you find one? So far, people are finding Unown in somewhat ordinary cities, such as Sydney and Milwaukee, which means you’re not going to need to break travel to Mayan ruins or something to see them. Just luck (or a tracker). It’s unclear, however, if different letters of Unown are region-specific, because if so, that would add another wrinkle to anyone’s collection plans. Aside from rarity, part of what’s building up Unown’s reputation right now is the potential for hijinks. Since you can station individual monsters at gyms, it’s theoretically possible to spell out words through Unown. Folks are looking forward to potentially being able to make gym jokes via Unown. I look forward to the first “BUTTS” gym, I have a feeling it’ll be Instinct.